Does anyone have any info or pics of Eagles fortress because I can't find any information on it at all. Last edited by larrygator on Fri Nov 20, 2015 7:27 pm. Everland also has one of those awesome HUGE swinging ships. That's a really awesome coaster. It looks way better than Ninja. And it doesn't have a lifthill before the station. I have loads of great pictures of this. Unfortunatly im working in Spain for 2 more weeks so i cant get to them till then. But If you Send me a PM ill remember and get to it when i get home. Looks like the best suspended if you ask me. 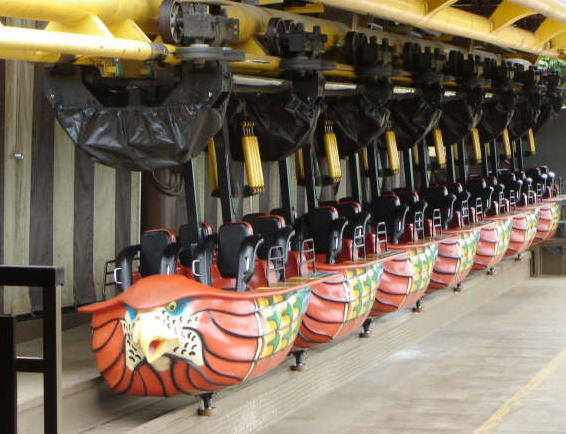 and the only one R&E have yet to ride if im not mistaken? 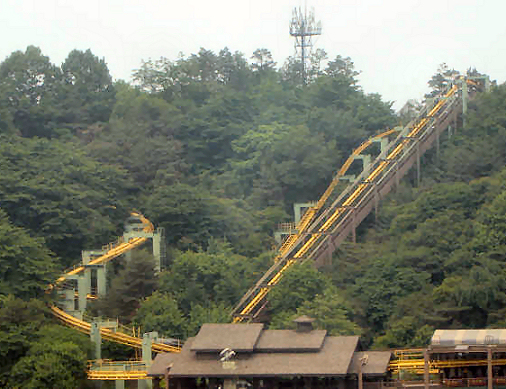 I have been lucky enough to ride Eagles Fortress which is called "Suspended Coaster" on the Everland map. I was stationed at Osan AB in S. Korea for a year and took a trip up to Everland. It is a really cheesy park and I got my picture taken by a Korean lady because she had never seen a white man. 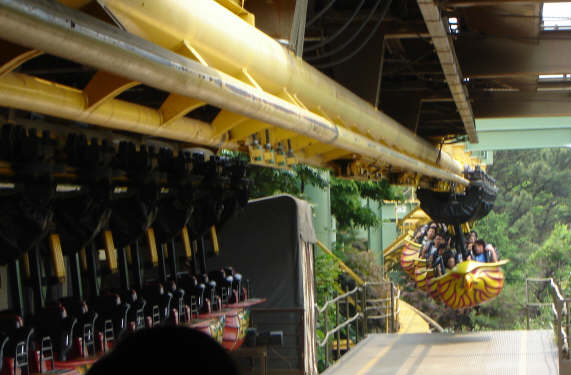 Anyway, the ride itself is amazing, it has no brakes (at the time, 2004), and just flies through its course and is situated along a woody hill and the trains come very close to the trees. Clearly S. Korea doesn't have the same rules that America has. 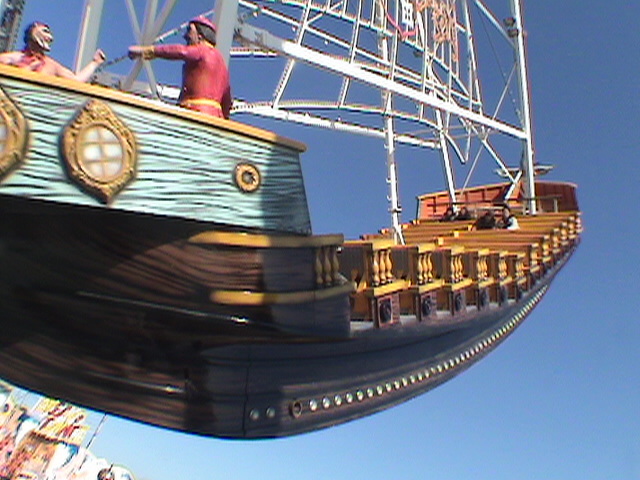 BTW, not only does Everland have one GIANT swinging ship but two, right next to each other. Pretty sweet. Awwww man, I've always wanted to try one of those huge ships. I find it odd that they'd put two right next to eachother, especially with the good capacity the ride has. The floater air must be ridiculous, it's already a great ride (the smaller versions we have here in the states.) Did you get to ride one of them, if so, what did you think? Photo by me at Toshimaen! I'm pretty sure the viking fury at PKI is the same size as the one you pictured. I don't know of any others that size, but I'm fairly sure that qualifies as one of that size in the states. It seats 4-6 people in each row. Huss use to have lots of info on them on its site.. But not anymore.